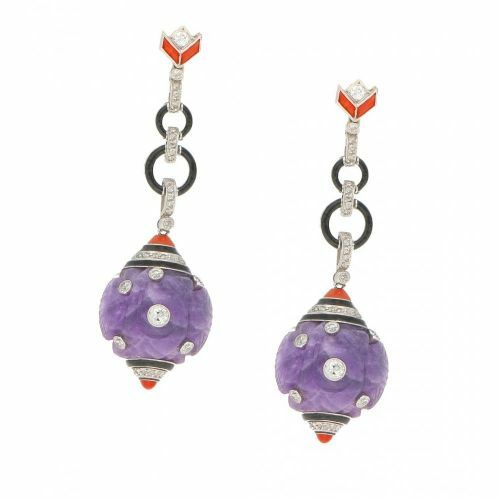 A fine pair of Art Deco amethyst, diamond, coral and enamel drop earrings in platinum, French, circa 1930. 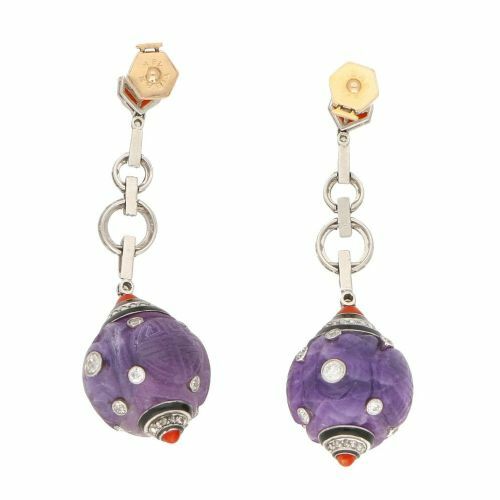 Each earring featuring a carved boule amethyst encrusted with twelve millegrain-set Old European brilliant-cut and Transitional round brilliant-cut diamonds of varying sizes, suspending from classic Art Deco diamond, coral and black enamel spacers and terminals, the top section of a shield-shape fitted to reverse with an 18-karat yellow gold post and alpha back fitting. The diamonds have a combined weight of approximately 2.20 carats, G/H colour and VS/SI clarity, with a mix of Old European brilliant-cut, transitional round brilliant-cut and rose-cut stones. Dimensions: 58x18mm. Weight: 24g. 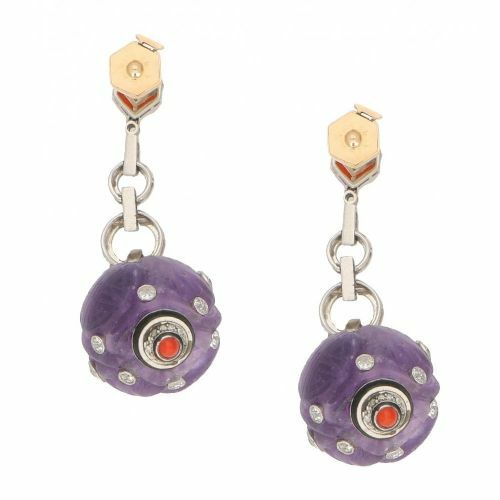 The Art Deco Amethyst, Diamond, Coral, Enamel Drop Earrings, French has been added to your saved items.